I am certainly not implying that everything about the Church during the Middle Ages was good; it certainly was not. However, we must allow some leeway considering that many of the major doctrines were still being clarified during this time. We find our roots in this Church, no matter how you cut it. The Roman Catholic Church did not full become what it is today until the Counsel of Trent (1554-1563). It wasn’t until this counsel that the deuterocanonical books were confirmed to be on par with Scripture, church tradition was established as a rule of faith, justification was officially declared to be offered upon the basis of faith and works, the seven sacraments were reaffirmed and the Eucharist was pronounced as a true propitiatory sacrifice, the practice of withholding the cup from the laity was confirmed, and other doctrines such as purgatory and the invocation of saints were reaffirmed. Church leaders and theologians prior to Trent were a mixture of truth and error. And while some of their errors were certainly gross, their overall values and worldview was biblical. This is what would have influenced musical forms. Veneration of Mary, the papal system, and other gross errors would not have affected musical form in any way. Values affect form. Our ability to discern their errors today is a result of the struggles they endured to define and systematize biblical doctrine. The Reformers retained from the Roman Church that which was biblical, including their musical forms and liturgical structure. I plan to post more on this issue tomorrow. Scott, part of the discussion has to be about the nature of medieval Roman Catholicism, but part of it is also about Constantinian church-state fusion. Perhaps you plan to address that point tomorrow. Concerning the points you make . . .
1. I thought the argument was that medieval soil is the richest soil for cultivating worship forms because it was most deeply rooted in the Christian worldview. But if doctrine wasn't fully developed, is the soil really as consistently and reliably rich as some suggest? 2. True, but that doesn't advance the argument that the medieval Church is the richest soil for worship forms. 3. True, but all those things were common in the RCC pre-Trent. Trent simply codified them. Your argument is similar to saying that the PCUSA isn't really all that bad because it hasn't yet exchanged its historic, orthodox statements of faith for new, unorthodox statements. 4. Values do affect form. I agree. But if you're suggesting that theological error was present, but those errors were consistent with biblical values and worldview, I have to vehemently disagree. I don't know how that can be true. Additionally, I think you're cherry-picking a few errors that might have affected forms minimally. It should be not at all difficult to imagine how sacramentalism, the clergy-laity divide, and any number of other issues, might have shaped forms detrimentally. 5. No argument here. I'm simply arguing that we need to be alert to how their theological errors likely seeped into their worship forms. Then we either need to do what we can to extract the harmful elements, or at the very least not be so married to their forms that we uncritically import forms that unwittingly, aberrantly shape our worship in this era. 6. I'm saying the same thing a different way, but maybe the Reformers weren't sufficiently reformed themselves to identify and purge everything that was incompatible with biblical worship. No doubt you'd agree they didn't do quite so well on baptism and church-state relations. Maybe they didn't catch everything in worship forms either. I agree with you that the church-state fusion was a problem (a problem, by the way, that I would argue was rooted in a lack of proper distinction between Israel and the Church), but I do not see how that would have affected the development of musical forms at all. 1. The values that permeated medieval culture that provided a rich soil were things like belief in Divine sovereignty and human frailty, a healthy fear of God, belief in transcendent truth, goodness, and beauty, etc. Specific doctrines that were not yet formulated, again, would have had little bearing upon the cultivation of form in my view. 2. Agreed. Just making the point. 3. Common? Not so sure. There existed strongly evangelical Roman Catholic groups throughout the Middle Ages. It wasn't until Luther forced them that the official Church position made such groups impossible after Trent. Even so, I do not believe that the errant beliefs would have negatively affected cultivation of form; rather, those biblical beliefs that every possessed (such as those listed above) provided the rich soil. 4. I think you are failing to see a distinction between theological errors on the propositional level and sensibilities that manifest themselves (and are affected by) art. No doubt that many of the musical texts from this time were heretical, and I would never defend them. But the forms themselves manifested sensibilities that were noble. For example, veneration of saints is heresy, but veneration is noble. So in their quest to express veneration for saints, they produced art that expressed heresy on the propositional level, yet the forms developed expressed noble veneration. Therefore the form itself could easily be used to express appropriate veneration for God. There is a difference between propositions (expressed through lyrics) and sensibilities (expressed through form). 5. I certainly agree that we need to be on the lookout for this, and I would agree that their theology certainly did eventually negatively affect their worship practice (which I would distinguish from form). For example, their theology led them to get rid of congregational singing, a practice that I would never defend. 6. Maybe, but you have men like Calvin, so careful in his reforms that he gets rid of instruments, and yet he maintains certain aspects of the liturgy and hymn forms. I think in worship especially they were being very careful. But your point is well taken. I believe (like I assume you would) that Baptists most fully reformed, especially with baptism and in their articulation of the Regulative Principle of Worship. 1. I think I agree with your argument in your response to me. I'm not sure it's making the same point you made in the post. Not good things in doctrine and the Church have implications, even if good things were widely and deeply held. 3. I agree that evangelical groups existed within the RCC prior to Trent. Perhaps they were even common. For me to speak to the prevalence of various views would be beyond my depth. But it seems wholly plausible that evangelical groups and really really bad ideas and systems coexisted. Certainly the papacy and all that went along with it was pretty rotten theologically down to the core and, at many points along the way, pretty influential on worship forms. So when you say that you "do not believe that the errant beliefs would have negatively affected cultivation of form," I'll gladly concede that I don't believe an *oratorio has the same problems qualitatively OR quantitatively as a contemporary pop cotton candy jingle (even with a solid text). But I still wonder if you're not being rather uncritical and uncharacteristically un-skeptical toward the human heart and the forms it produced under the influence of bad theology. 4. I get the distinction you're making. But can't we "venerate" God in the wrong way? If we offer worship to him in a way he doesn't desire (i.e. other than on the basis of finished work of Christ, our sin imputed to him, and his righteousness imputed to us), then isn't the form of the veneration likely, even certain, to be incompatible with biblical worship? Because if the creators of the forms were good at what they did—making the form match the content—then wouldn't the form be distorted in a similar way to the content? 5. If you agree here, then our disagreement may be minimal. All I'm arguing is that it's naïve to embrace any form uncritically. Specifically, I'm wondering if you're not too optimistic about medieval forms. 6. Valid point on Calvin. But isn't there a sense in which it's easier to cut out circumstances like instruments because you don't see them in the NT text, than it is to ferret out the subtle, perhaps somewhat subjective, influences of medieval theology on musical styles themselves? *I realize an oratorio isn't medieval, but some of the hymns you referenced are set to tunes written after the medieval period, so I'm not entirely clear how you're referencing those hymns. In any case, I mean for this to be a minor point, likely not a rabbit worth chasing. One more clarification. Never would I say that just because a worship form is worthy of expression to God, the worship of a heretic who uses that form is therefore acceptable to God. God does not accept the worship of an unbeliever no matter how he worships. I just believe that in the providence of God, many heretics (and some true believers, with all their warts) were used as caretakers of noble forms, very similarly to how they were used as caretakers of the Scriptures themselves. For example, the monk system is crazy, based on silly views. Yet I don't think anyone would deny the important place that monks played, in God's providence, to preserve the Bible. Even Calvin praised Pope Gregory I, and lauded him as an important Christian leader during his day. This is analogous to how they were used in the cultivation of worship forms, I believe, even though in many cases their worship was in no way accepted by God because they had no relationship to Christ. Ironically, I think the opposite is happening today. Sincere, godly Christians who have all the right doctrine are worshiping the Lord using forms that were cultivated by pagans to express pagan values. Their worship is absolutely accepted by God because he accepts them through Christ. Yet how they are worshiping is unworthy of him and, I believe, unhelpful to the worshiper. Music is not for God, after all; music is for us. God looks at our hearts as we worship, but musical forms affect our hearts and either fuel or hinder appropriate heart expression. Scott, I don't have a substantial argument with that. Your observation in the second paragraph strikes me as particularly insightful. I guess what I'd love to hear for you is an assessment of how bad theology may have harmfully shaped worship forms that emerged from the medieval and post-medieval (lots of terms we could use, but lets say 1500-1800) periods. I'm not suggesting that we ought to toss those forms, but merely that we shouldn't use them uncritically, as if they were some universal ideal. 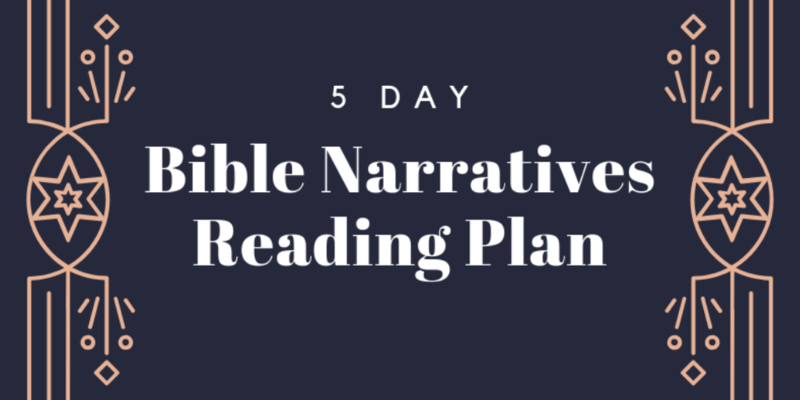 While I'm telling you what to do, I'd also encourage you publish your own response to each chapter of Five Views of Christian Worship, but that's another conversation. Thanks, Ben. That's a good suggestion, and one I may do at some point. I would love to see a book that follows something more along the lines of what I suggest in that post. Thanks for the helpful dialogue. I see your point on the problems with the taxonomy. Frankly, I'm not sure the predominant manifestation of "blended worship" is really at all different philosophically from Wilt's chapter on contemporary worship. Blended is often just a Dever/Lawrence differ massively from Wilt, of course. So in that sense, Dever/Lawrence should not be taken to defend most of the people who consider themselves blended. So the book's categories don't actually represent real-world categories well, though they do present five views that spur some useful conversation. To me, the crux of the conversation in the book is between Dever/Lawrence and Wilt. Kimball's the same as Wilt; he just doesn't know it. Whoops. Editing fail. Ignore the "Blended is often just a" before Dever/Lawrence.